WOLVERHAMPTON put in a determined team performance to edge a 50-40 victory in a spectacular encounter with Leicester at Monmore Green. The Parrys International Wolves were forced to work hard against the struggling Lions – but they eventually powered to victory to extend their winning home record to seven successive meetings. Peter Adams’ side certainly did not have things all their own way but demonstrated their determination in abundance to prevail in some scintillating racing. Team manager Adams was pleased with another professional performance as they overcame the absence of injury victim Joonas Kylmakorpi to earn three more points. Said Adams: “We said before the meeting that you mustn’t underestimate Leicester, because they are capable of making life difficult for you. “I warned the boys before the meeting that we mustn’t be complacent, and we had to work hard but were pleased with another home win. Swedish trio Jacob Thorssell, Peter Karlsson and Freddie Lindgren all bagged double figures to lead Wolves to victory, whilst Sam Masters and Kyle Howarth also recorded race wins. Thorssell was in magnificent form as he topped the scorecharts, pulling off the ride of the night in heat eight alongside Howarth and also winning heat 15. 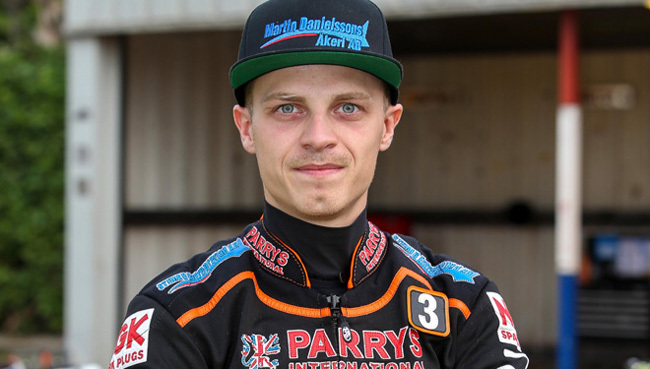 Experienced ace Karlsson also went unbeaten in his opening four rides with an impressive display, whilst Lindgren bagged three vital race wins at No.1. With Masters and Howarth putting in solid displays plus Max Clegg fending off Paul Starke for a hard-fought point in heat 12, it was another encouraging display from the Monmore men. They will now prepare for two away meetings in the space of two days as they head to Belle Vue on Wednesday and Swindon on Thursday before returning to home action against the Robins on Monday, July 18. WOLVERHAMPTON 50: Jacob Thorssell 15+1, Peter Karlsson 11+1, Freddie Lindgren 10, Kyle Howarth 7, Sam Masters 6+1, Max Clegg 1, Joonas Kylmakorpi R/R. LEICESTER 40: Szymon Wozniak 10, Ludvig Lindgren 8+2, Nicolai Klindt 7+2, Paul Starke 6+1, Patrick Hougaard 4, Josh Auty 3+2, Aaron Summers 2.